What Are Income-Driven Student Loan Repayment Plans & Which Plan Should I Use One? Income-Driven Student Loan Repayment Plans allow you to set monthly student loan payments based on the amount of money that you actually earn, no matter how much you owe, making them one of the most flexible, affordable ways to pay back your debt. IDR Repayment Plans are exclusively for Federal student loans, and typically help people who have high debt loads, but who don’t make much money. The great thing about these plans is that the lower your income is, the lower your monthly payments will be, no matter how much money you might owe. In fact, in some cases, you may even be able to qualify for a $0 monthly payment, which happens if you make so little money that the Federal Repayment Calculator determines you literally cannot afford to be making any payments toward your student loans. Why Do Income-Driven Repayment Plans Exist? Who is Eligible for Income-Driven Repayment Plans? Which Federal Loans are Eligible for Income-Driven Repayment? Are Defaulted Loans Eligible for IDR Plans? Are PLUS Loans Eligible for IDR Plans? What Are the Different Types of Income-Driven Repayment Plans? Can I Calculate What My Payments Will Be? How Long Will It Take to Pay Off My Loan on Each IDR Plan? What if My Income or Family Size Changes? How do I Complete the Recertification Process Each Year? What Happens if I Fail to Recertify? What if I Still Owe Money When Repayment Ends? How Can I Use PSLF and an Income-Driven Plan Together? Which IDR Plan is Best For Me? Is There a Downside to IDR Plans? Where Can I Ask Other Questions? 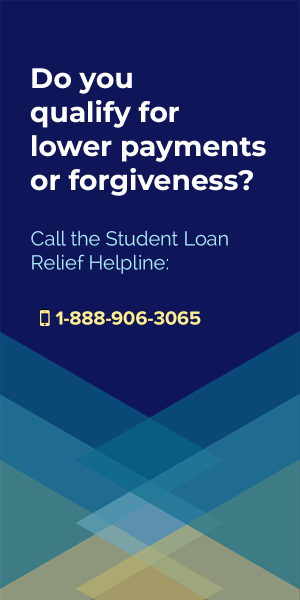 If you’re truly struggling with your student loans, and don’t know what to do with them, but know that you need help, then my advice is to call the Student Loan Relief Helpline right now. 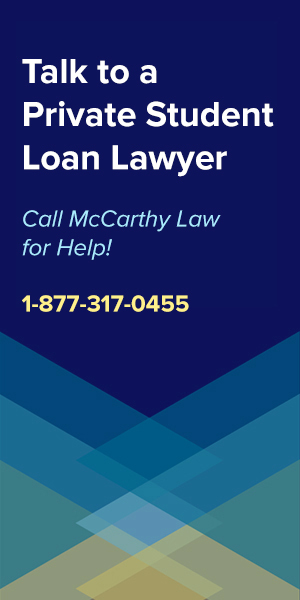 The Helpline can look at your loans, evaluate your opportunities, and advise you on what should be done to get rid of your debt as quickly, and cheaply, as possible, including pursuing Forgiveness Benefits, Discharges, or even Bankruptcy. 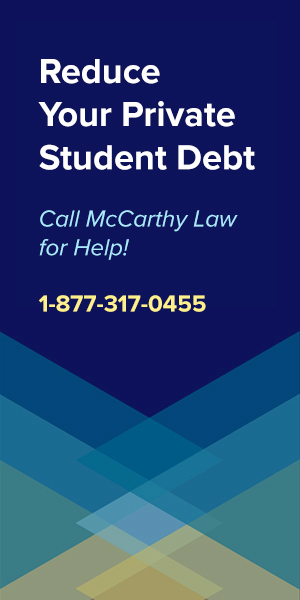 The Student Loan Relief Helpline is the only company I work with because they’re the only company I trust to provide good advice to my readers, and while they will charge a fee if you agree to get their assistance, many of my readers have been able to get good, solid advice without paying a single penny! Borrowers with low incomes and a high amount of student loan debt usually have trouble making payments under the 10-year Standard Repayment Plan, which sets monthly loan payments at an amount they simply cannot afford. To respond to this threat, Congress created the Income-Driven Repayment Plans to allow low-income borrowers to pay off their student loans over a longer period of time, with lower monthly payments that are based on their income, instead of on how much they owe. 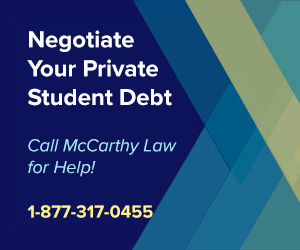 For pretty much everybody struggling with student debt, the Income-Driven Repayment Plans are going to be your best bet at finding an affordable solution to the problem, so if you’re having any issues meeting your monthly payments, then it’s time to listen up. Who Is Eligible for an Income-Driven Repayment Plan? Remember, these income-driven repayment plans are for federal student loans only. Private student loans are not eligible for the income-driven repayment plans mentioned below. If you need Help with Private Student Loans, go here. Revised Pay As You Earn Repayment Plan (REPAYE Plan) Anyone with an eligible federal student loan. See the complete list of eligible loans below. Pay As You Earn Repayment Plan (PAYE Plan) & Income-Based Repayment Plan (IBR Plan) If the amount you would pay under either of these plans is less than what you would pay under the 10-year Standard Repayment Plan, then you will qualify. However, you must also have been a new borrower (i.e. no outstanding Direct Loan or FFEL loan) as of October 1, 2007 and you must have received a Direct Loan disbursement on or after October 1, 2011. 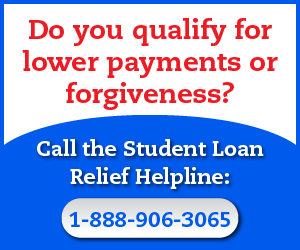 Income-Contingent Repayment Plan (ICR Plan) Anyone with an eligible federal student loan. See the complete list of eligible loans below. Direct PLUS Loans can be consolidated into a Direct Consolidation Loan. This loan can then use the Income-Contingent Repayment Plan (ICR Plan). In the table below “Eligible if consolidated” means that loans will be eligible for the plan after they have been consolidated into a Direct Consolidation Loan. Remember, there are some potential threats and concerns with Consolidating Your Federal Student Loans, and you don’t want to enter into a consolidation lightly. If you’re considering consolidating, read my page about the process here first. Are Defaulted Student Loans Eligible? No, you must get your loan out of default before it will become eligible for any of the Income-Driven Repayment Plans. 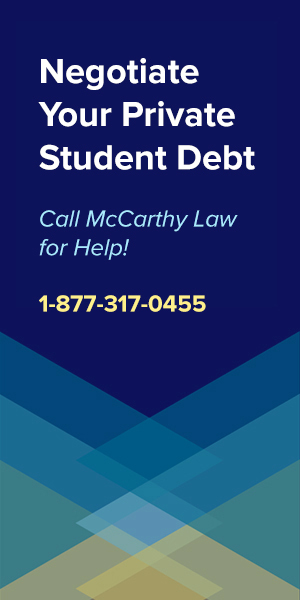 For information on how to get your loans out of default or delinquent status, visit my guide on Dealing with Delinquent Student Loans, here. No. However, Direct PLUS Loans can be consolidated into a Direct Consolidation Loan, which can then use the Income-Contingent Repayment Plan (ICR Plan). All of the income-driven repayment plans calculate your monthly payment amount based on a percentage of your discretionary income. Discretionary income is what you have left over after payroll taxes, social security deductions, and basic living costs have been subtracted from your income. The less money you make, the lower your discretionary income will be, so for those of you who make very little, you’re likely to qualify for extremely low monthly payments. Pay As You Earn Repayment Plan (PAYE Plan) Usually 10% of your discretionary income. However, you will never pay more than you would on the 10-year Standard Repayment Plan. Income-Based Repayment Plan (IBR Plan) Usually 10% of your discretionary income if you were a new borrower (i.e. You didn’t have any outstanding Direct Loans or FFEL loans on that date.) on July 1, 2014 or after. Borrowers who took out loans prior to July 1, 2014 will usually pay 15% of their discretionary income. In both cases you will never pay more than you would on the 10-year Standard Repayment Plan. the amount that you would pay if you were on a fixed, 12 year payment plan adjusted according to your unique financial situation. Yes, you can use the the official Repayment Estimator from the Government’s Federal Student Aid website. Keep in mind that an income-driven repayment plan doesn’t always offer the lowest monthly payment, so you’ll want to evaluate your options before agreeing to sign up for one of these plans. In fact, in some cases, borrowers can achieve a lower monthly payment via one of the other Federal Student Loan Repayment Plans. How Long Will it Take to Pay Off My Loan on an Income-Driven Repayment Plan? Check the table below for details on how long it’ll take to pay off your loan when enrolled in each of the Income-Driven Repayment Plans. Revised Pay As You Earn Repayment Plan (REPAYE Plan) If you have only undergraduate loans: 20 years. Income-Based Repayment Plan (IBR Plan) If you were a new borrower as of July 1, 2014: 20 years. If you were a not new borrower as of July 1, 2014: 25 years. You’ll need to “recertify” your income and family size every year in order to stay on an income-driven repayment plan. If your income or family size changes, your payments will change as well. Recertification is a simple process that involves filling out another income-driven repayment plan application. Your loan servicer should remind you when it’s time to recertify your loan. However, it’s a good idea to mark it down on your calendar so that you don’t miss the deadline, because failing to recertify will mean being kicked off the income-driven repayment plan, which could mean that your monthly payments will skyrocket. 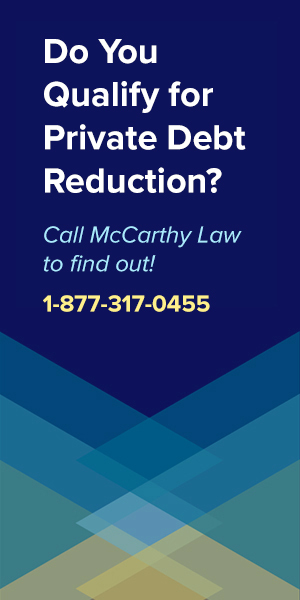 If your situation changes well before the yearly recertification deadline, you can request a new application and state that you’re doing it because your situation has changed. However, you are not required to do this. You can wait until your yearly recertification comes around, so if your situation changes in a way that will end up costing you more money per month (because you got a significant raise, had a dependent become independent, etc. ), then it’s best to wait until recertification is required. If your income increases and your monthly payment would be greater than what you would pay on the 10-year Standard Repayment Plan, you will still be allowed to remain on the PAYE or IBR plan, but your monthly payments will stop being based on your income. Instead, the Department of Education will adjust their math, and start charging you whatever you would be paying under the 10-year Standard Repayment Plan. Why would you want to remain on PAYE or IBR if you’re being charged at the 10-year rate? Because it’ll allow you to remain eligible for Federal Student Loan Forgiveness Benefits, which allow you to completely discharge your loans after making 10, or 20 years worth of payments toward them. If your income decreases again, you can recertify your income and family size and return to having your payments set based on the income-driven repayment plan math, which would be a good idea if you want to reduce your monthly payments. Under these plans, if your salary increases you could end up paying more than you would under the 10-year Standard Repayment Plan. In that case, you will probably want to switch to another plan, unless you’ve got a compelling reason to remain on REPAYE or ICR, like because you’re pursuing the quick forgiveness benefit available via the Public Service Loan Forgiveness Program. How do I Recertify Every Year? Go to the Federal Student Aid website and scroll down to the section that says “Submit annual re-certification of my income”. You can also ask your loan servicer for the paper form if you’d rather do it that way, but it’s going to be a much bigger hassle if you don’t do it all digitally. What Happens if I Don’t Recertify my Income & Family Size Every Year? If you’re on the REPAYE, PAYE, or IBR plans, failing to recertify each year will result in the capitalization of unpaid interest, which means that the unpaid interest that’s been accumulating on your account (which the Government has been covering for you since you’re a low-income earner) will be added to the loan principal, thereby increasing the amount of money you owe. This is a TERRIBLE thing to happen, because it could mean that your loan would double, triple, or even quadruple in size. You absolutely need to make sure that you don’t fail to recertify your details each year, because the financial downside from forgetting about it could mean a massive inflation of your overall debt. Also, if you don’t recertify every year then your loan servicer will assume that you have a family size of one, even if your family includes 10 people. 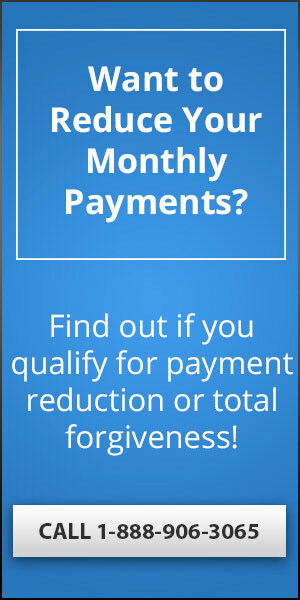 In other words, failing to recertify could mean a much larger monthly payment. Make sure that you mark the recertification deadline down on a calendar because you definitely don’t want to miss it. Failing to recertify while on the REPAYE plan will result in being removed from the income-driven repayment plan, and put back on the 10 year standard plan, which could result in in a significantly higher monthly payment since it will no longer be based on your income.. Failing to recertify while on these plans will also cause your monthly payments to stop being based on income, instead setting them based on whatever you would be paying under the 10 year Standard Repayment Plan. To get back on an income-driven repayment plan you’ll need to submit new information about your income. What if I Still Owe Money at the End of the Repayment Period? At the end of the repayment period (typically 10 years or 20 years), any remaining balance will be forgiven. Deferments, time spent repaying the loan under another plan, or any time you spent paying zero amount will count toward the required payment period. Again, that means that some lucky people may be able to qualify for a $0 monthly repayment, which they’ll make for 10 or 20 years, and then the entire remaining balance of their student loan will be forgiven, even if it has increased over the years due to interest accumulation. 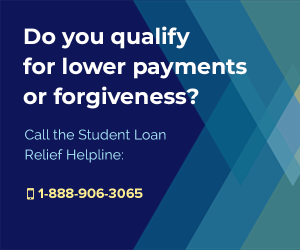 If you’re able to qualify for both the Public Service Loan Forgiveness Program and one of the Income-Driven Repayment Plans, then it’s possible to qualify for complete student loan forgiveness after only 10 years. 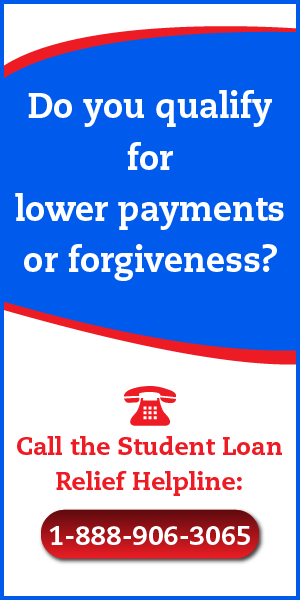 But the best part about this process is that while some of the other repayment plans and forgiveness programs will require you to pay taxes on whatever debt ends up being forgiven, PSLF allows you to walk away from your loans entirely debt-free. The IRS will not come calling for those of your on PSLF. For details on how this process works, please visit my page on Student Loan Forgiveness and Taxable Income Laws. Contact your loan servicer in order to apply for any of the Income-Driven Repayment Plans. There is no charge for this service and your loan servicer will help you choose the best plan for your unique situation. For those of you who are more adventurous, and capable of doing it all yourself, the Income-Driven Repayment Plan application is also available online. Just keep in mind that If your loans are with more than one servicer, then you’ll need submit an income-driven repayment plan application to each of them. You will be asked to provide proof of income, and during the electronic application you will have access to the IRS Data Retrieval Tool which will help you do this. Simply follow the instructions. If you’re married, remember that your spouse will need to sign the application as well. If you’re on a different repayment plan, your servicer may put your loan into forbearance while processing the application for the income-driven repayment plan. If you see that happen, don’t freak out, but contact them to ask what’s going on and ensure that it wasn’t a mistake. Choosing the repayment plan you want to use for your loans is an important part of the process of optimizing your student debt, so make sure to take everything into consideration when deciding which plan will work best for you, and be sure to analyze your opportunities any time your employment status, dependent status, or income changes. For most people though, the best plan is usually going to be the one that offers you the lowest monthly payment, even if it ends up costing you more money over the long-term lifespan of your loan. Why? Because most people have problems with cash flow, not overall debt, meaning that they can carry a huge debt load as long as the monthly payments aren’t that high. Your loan servicer can help you decide which plan will work best for you, but just remember to do your own thinking about this as well, because loan servicers don’t always offer the best advice. Is There a Downside to Income-Driven Repayment Plans? Well, let’s put it this way. Whenever you extend your repayment period and make smaller monthly payments, you’re generally going to end up paying back more than you would otherwise because of interest. However, this may be the best option for you if you’re having trouble making payments on the 10-year Standard Repayment Plan, or if you’re planning on qualifying for Student Loan Forgiveness Benefits anyway. Again though, you need to do some math, consider some financial plans, and think about how this decision will impact your finances down the line, because remember, it’s going to be at least 10 years before you can qualify for loan forgiveness, so whatever you choose to do now is going to have a major impact on your financial future for years to come. Where Can I Find More Information About Income-Driven Repayment Plans? This document from the Federal Student Aid Website is a terrific resource. It’s a 26 page document that goes into a lot of detail about the various income-driven repayment options, including who’s eligible, monthly payment amounts, etc. If you’re considering an income-driven repayment plan, then you should definitely spend some time reading through this guide, because it’ll help you determine which plan will work best for you. If you need help with other questions about student loans, be sure to visit the other pages of my site, where I cover all sorts of topics in complete detail. If you want help with Federal Student Loan Relief, visit my pages on Federal Loan Forgiveness, Federal Student Loan Bankruptcy Discharges, Federal Loan Consolidation Programs and Federal Student Loan Repayment Plans. 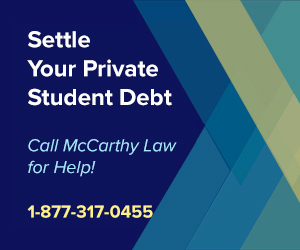 If you want help with Private Student Loan Relief, you should check our my pages on Private Loan Forgiveness, Private Student Loan Consolidation, Private Student Loan Bankruptcy Discharges and Private Student Loan Default Help. Remember, it’s not a good idea to take student loan advice from anyone other than an official representative of the US Government or the Department of Education, etc., unless you’ve fully vetted them, because there are all sorts of fraudsters running Student Loan Forgiveness Scams, and trying to cheat people out of their money, so make sure to be careful about who you trust. Also, if you still have questions after reading through my links above, please feel free to ask them in the Comments section below, and I’ll do my best to get you a quick response. Most of the time, I can answer questions within 24 hours.